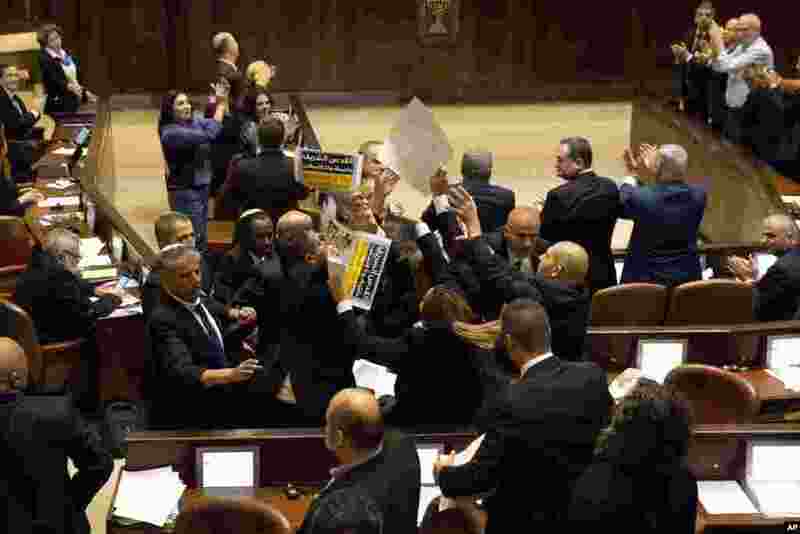 1 Israeli Arab members hold signs in protest as security pushes them out as U.S. Vice President Mike Pence speaks in Israel's parliament in Jerusalem. 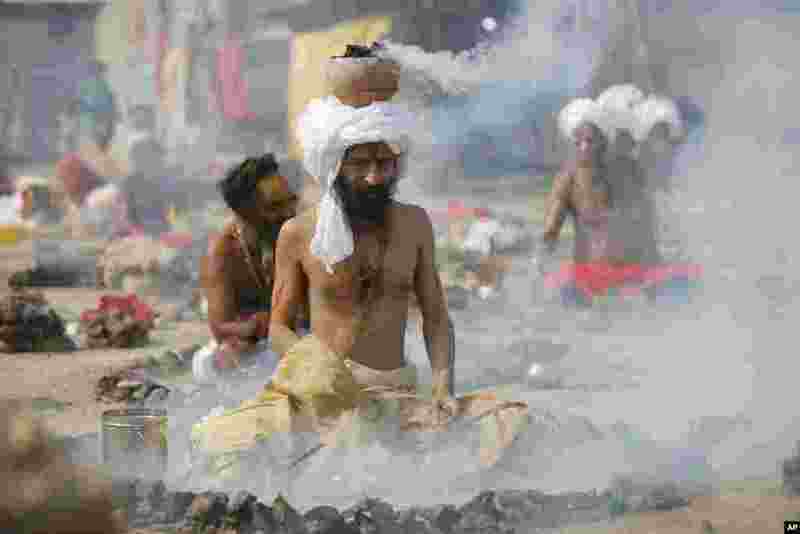 2 Hindu holy men burn dried cow dung cakes as they perform a ritual at Sangam, confluence of rivers Ganges and Yamuna on "Basant Panchami" day at the annual traditional fair of Magh Mela in Allahabad, India. 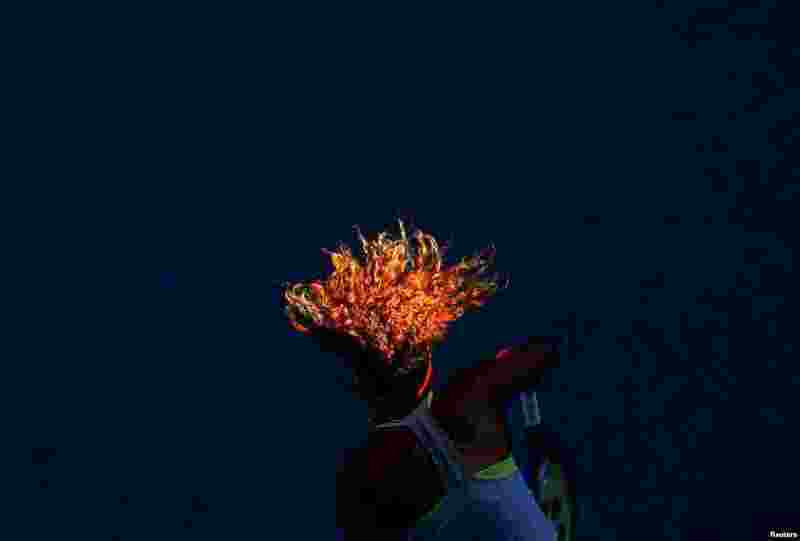 3 Japan's Naomi Osaka serves to Simona Halep of Romania during the fourth round match at the Australian Open tennis championships in Melbourne, Australia. 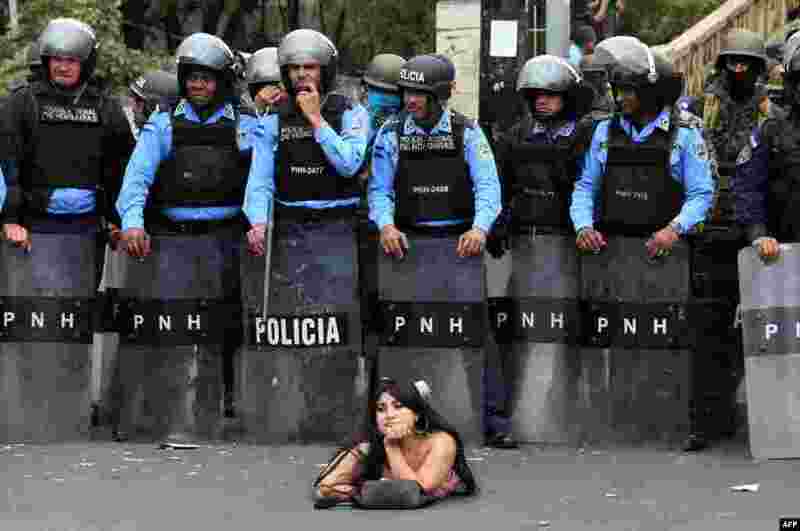 4 Salvador Nasralla, s supporter of the presidential candidate for the Honduran Opposition Alliance Against the Dictatorship, lies on the street in front of police officers during a demonstration against the contested re-election of of President Juan Orlando Hernandez, in Tegucigalpa, Jan. 21, 2018.